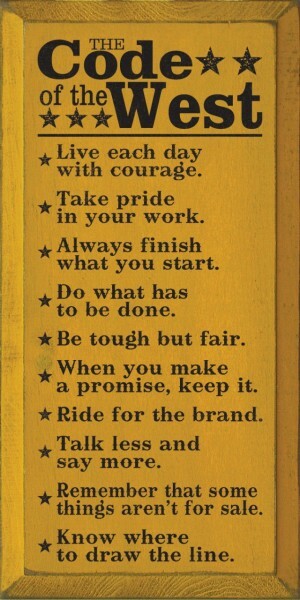 On a recent trip to Nashville I was introduced to The Code of the West, a list of 10 principles to live by. The code has stuck with me since. In 2010, Wyoming signed into law The Code of the West as the official state code, adapted from the book Cowboy Ethics: What Wall Street Can Learn From the Code of the West by retired Wall Street investor, James Owen.